Me, sitting in front of the loot cave. 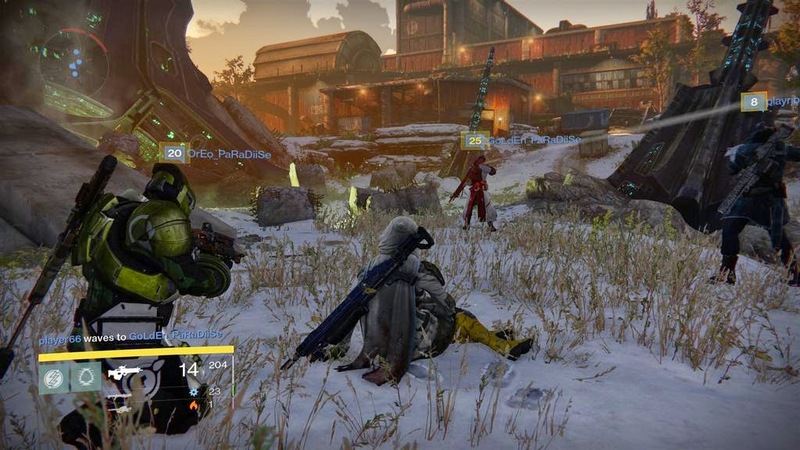 As soon as I post this week's PopMatters article see the news: Bungie is removing the (in)famous loot cave. The news was posted this morning on Bungie.net in which they address several issues with the game. I encourage you to take a moment to read the post. It's a fascinating large scale piece that in many ways addresses the myriad of criticisms with the game without doing so directly. It reveals some insight into their design process and almost outwardly apologies in a way. "But we didn't adequately communicate the potential random outcomes of decryption." "The social experience of a cave farming run is amazing." "Our goal is to always celebrate when this occurs, both as a reward in and of itself and to communicate to players what is going on." "Not all our Exotic Weapons currently live up to this promise." I think there is an understanding here of the difference between expectation and experience, in the minute design of their weapons and the sense of fairness and expectation. Maybe I am reading this with too much affection for the game, but I think this is player communication done right. While this won't convince those who dislike Destiny to come back, I do think it's recognition, in a way, of a failure to communicate their design goals within, well, the design. I, for one, am hopeful. Even if we do have to spend less time together, shooting into the dark.